Conveniently located in central Worcester, minutes from the law courts, Scaiff LLP is a well established firm of solicitors specialising in many aspects of law, particularly conveyancing, family, personal injury and wills and probate..
On 9 April 2019 the government announced the long awaited changes to divorce law. For too long, divorcing couples have had to blame the other’s behaviour, or adultery, if they did not want to wait two years with consent, or five years without. The highly publicised case of Owens highlighted the difficulties couples faced. She had petitioned for divorce after 40 years of marriage on the grounds of her husband’s behaviour which she found unacceptable. The husband defended and the case went to the Supreme Court where her appeal was rejected because of the current law. This meant that she would have to wait until they have been separated for 5 years. The most senior Judge in the UK, Baroness Hale, was involved in the case and called for the laws to be overhauled as they were unjust. A public consultation resulted and new legislation will now be introduced to Parliament updating our 50 year old divorce law. Currently there are over 100,000 divorces in England and Wales each year (ONS2018) with behaviour being the most common fact. Statistics show that children are adversely affected. The impact is often felt in the wider family with children losing contact with the family of the parent they don’t live with. These changes hope to minimise that conflict and help families move forward in the most positive way possible. Janice Leyland is a highly experienced family lawyer and a member of Resolution. Resolution members are committed to reducing conflict and agreeing to work in a non-confrontational way that puts the interests of children first. If you are considering divorce, take specialist legal advice on your particular issues. As well as the divorce, there are arrangements for the children to be considered, and agreed where possible, and financial matters to be resolved. This can be complex and lengthy, and early advice is vital to protect your interests and ensure a fair outcome. 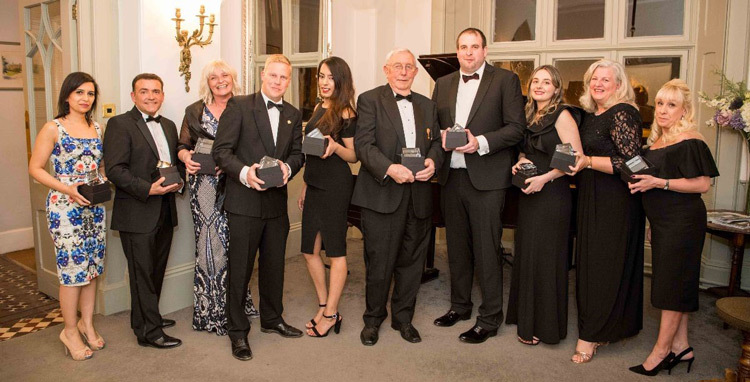 A fantastic night at the Worcestershire Law Society Awards evening on Friday 29th March 2019, with congratulations to the team members who were shortlisted for awards, Janice Leyland (Solicitor of the year), Hannah Baver (Junior Solicitor of the year) and Georgia Watkins (Paralegal of the year). 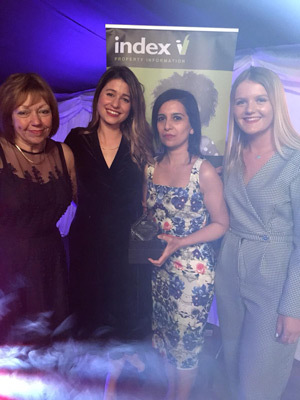 Hugely proud of Kiran Athwal who scooped the award for Trainee Solicitor of the year. 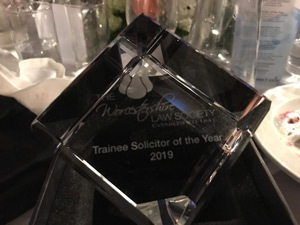 SCAIFF LLP are delighted to announce that 4 members of the team have been shortlisted for legal awards by Worcester Law Society.